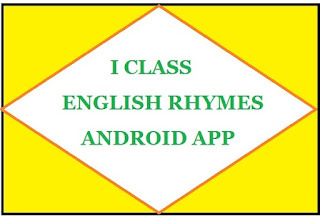 AP 1st Class English Rhymes in Android Format. The more interested and engaged students are, and the more interactive each learning session is, the more students will enjoy, learn from and retain information from the lesson. Video provides a means of interactive instruction and is a very flexible medium. Having the ability to stop, start and rewind is absolutely invaluable. It provides the option to stop each video and challenge students to predict the outcome of a demonstration, and elaborate on, or debate a point of historical reference. You also have the option to rewind a section of the video to review a segment to ensure that children understand a key concept. You can ensure to add further interactivity by copying activities, conducting discussions or repeating demonstrations and experiments in the your classroom.